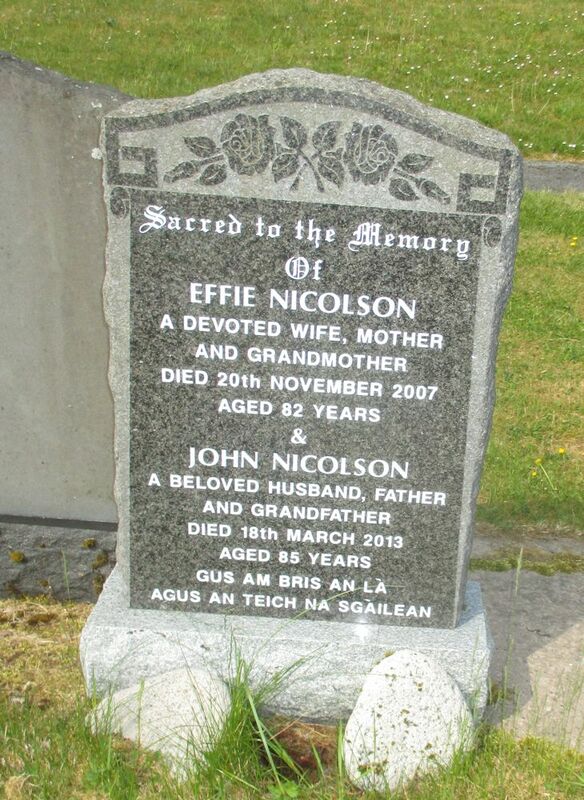 Skye Gravestones | Effie & John Nicolson. Sacred to the memory/of/EFFIE NICOLSON/a devoted wife, mother/and grandmother/died 20th November 2007/aged 82 years/&/JOHN NICOLSON/a beloved husband, father/and grandfather/died 18th March 2013/aged 85 years. Picture Added on 11 June 2018.